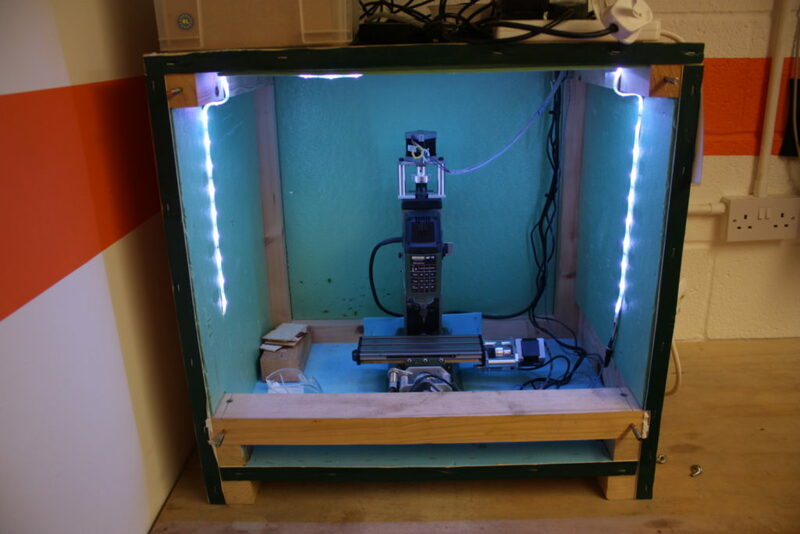 Digital Fabrication covers a number of areas including 3d Printing, laser cutting and CNC milling. We have a couple of 3d Printers for members to use, a Wanhao Duplicator i3 and a Prusa i3 mk2. 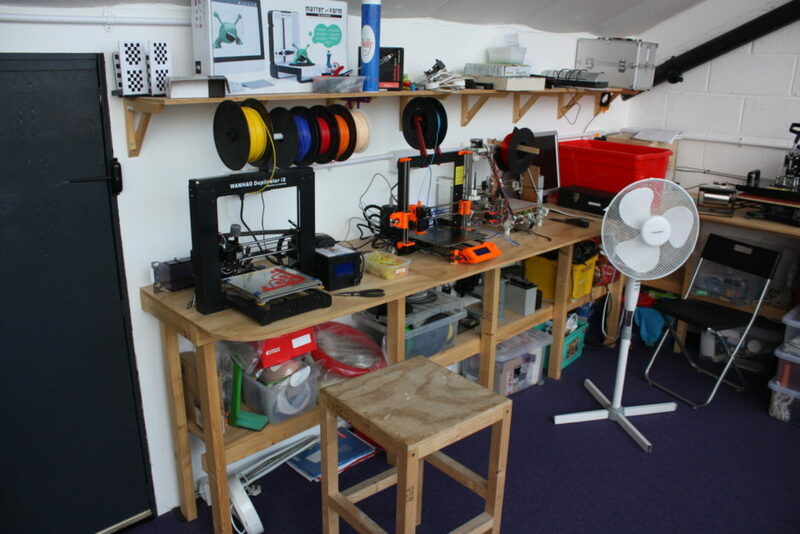 A number of members also have 3d Printers at home so there is always someone to ask and advise on design or printing. We also run occasional 3d Printing workshops for members and non-members if you’re interesting in learning more. 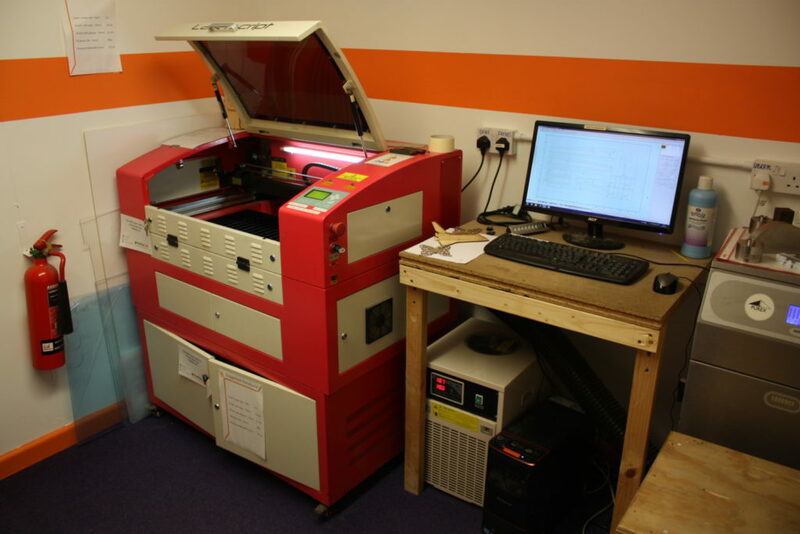 Shortly after moving into our current space we were lucky enough to receive the loan of an HPC Laser cutter. The laser cutter is great for working with sheet material such as paper, card, wood, acrylic, foam board and other combustible materials. Members make various projects using the laser cutter such as boxes for holding electronics, decorations, foam board planes and more. We also have a few small CNC machines including a Proxxon MF70, a Shapoko CNC machine and a Roland Modela 3d milling machine. The Proxxon does a decent job of making through hole PCBs.